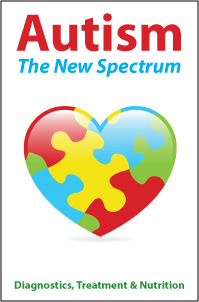 Autism: The New Spectrum of Diagnostics, Treatment & Nutrition is a 4-hour online continuing education (CE/CEU) course that reviews diagnostic changes in autism as well as treatment options and nutrition interventions - both theoretical and applied. 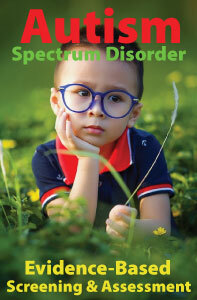 The first section traces the history of the diagnostic concept of Autism Spectrum Disorder (ASD), culminating in the revised criteria of the 2013 version of the Diagnostic and Statistical Manual of Mental Disorders, the DSM-5, with specific focus on the shift from five subtypes to a single spectrum diagnosis. It also aims to provide epidemiological prevalence estimates, identify factors that may play a role in causing ASD, and list the components of a core assessment battery. It also includes brief descriptions of some of the major intervention models that have some empirical support. Section two describes common GI problems and feeding difficulties in autism, exploring the empirical data and/or lack thereof regarding any links between GI disorders and autism. Sections on feeding difficulties offer interventions and behavior change techniques. A final section on nutritional considerations discusses evaluation of nutritional status, supplementation, and dietary modifications with an objective look at the science and theory behind a variety of nutrition interventions. Other theoretical interventions are also reviewed. Professional Development Resources is a CPE Accredited Provider with the Commission on Dietetic Registration (CDR #PR001). CPE accreditation does not constitute endorsement by CDR of provider programs or materials. Professional Development Resources is also a provider with the Florida Council of Dietetics and Nutrition (#50-1635) and is CE Broker compliant (all courses are reported within one week of completion). Catherine Christie, PhD, RDN, LDN, FADA, FAND, is Vice President of Professional Development Resources. She is a Past President of the Florida Academy of Nutrition and Dietetics and currently serves on the Board of Directors of the Academy of Nutrition and Dietetics. Cathy is co-author of four books including The Latino Food Lover’s Glossary, Fat is Not Your Fate, Eat to Stay Young and I’d Kill for a Cookie. Dr. Christie is also Editor of the Manual of Medical Nutrition Therapy. A Registered Dietitian Nutritionist, Fellow of the Preventative Cardiovascular Nurses Association and Fellow of the Academy of Nutrition and Dietetics, Dr. Christie earned her PhD from Florida State University and served for six years as the Chairman of the Dietetics and Nutrition Council, which regulates the nutrition profession in the state of Florida. Dr. Christie is the recipient of several awards and/or certifications including Florida’s Distinguished Dietitian, Florida Dietetic Association Outstanding Service Award, the Academy of Nutrition and Dietetics Outstanding Dietetic Educator Award, and the Excellence in Practice Award for Education in Nutrition and Dietetics. Gina Ulery, MS, RD, LD/N, is the Director of Operations & Marketing for Professional Development Resources and is a Registered Dietitian, licensed in the state of Florida. She earned her Master's degree in Health Science from the University of North Florida in 2003. Since then, she has used her experience and education to create online CE courses for healthcare professionals to further their careers and expand their knowledge base. Gina is responsible for managing day-to-day operations, as well as designing, implementing and facilitating marketing strategies.